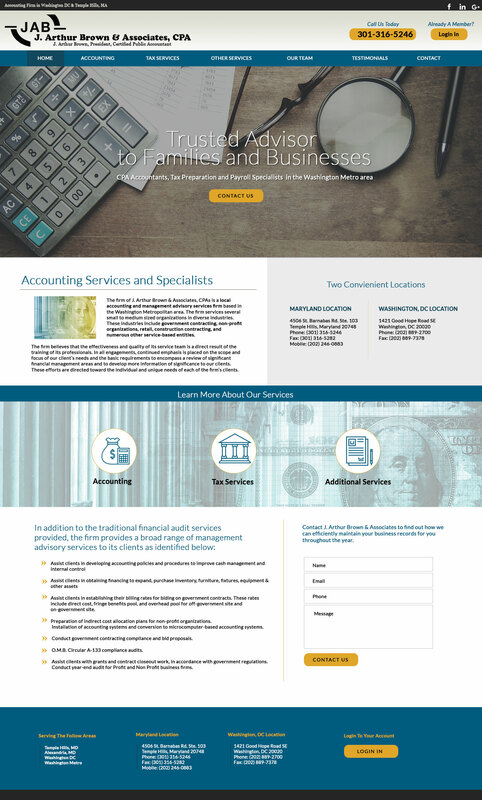 The firm of J. Arthur Brown & Associates, CPAs is a local accounting and management advisory services firm based in the Washington Metropolitan area. The firm services several small to medium sized organizations in diverse industries. These industries include government contracting, non-profit organizations, retail, construction contracting, and numerous other service-based entities.